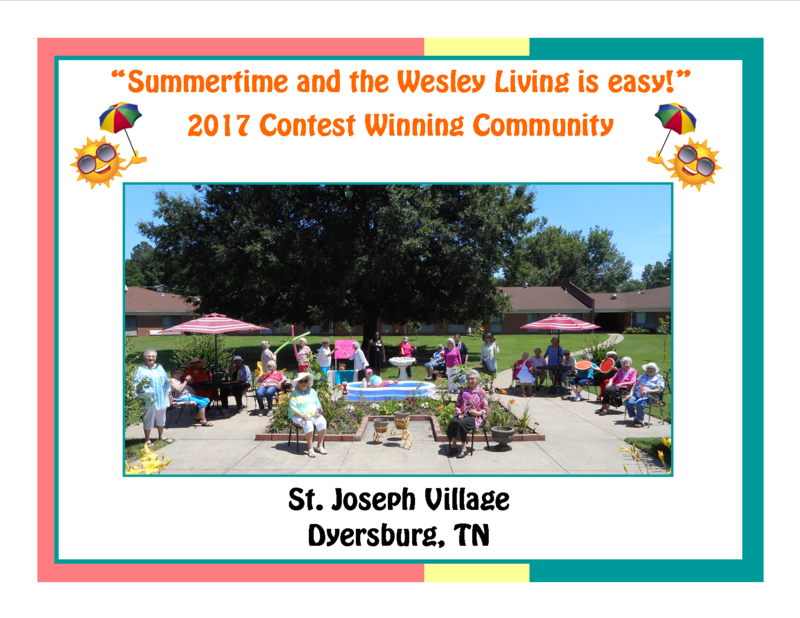 “Summertime and the Wesley Living is Easy” contest results! 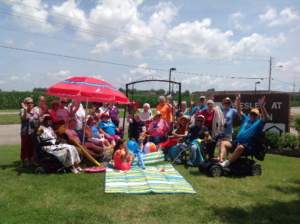 Congratulations to the great folks at St. Joseph Village in Dyersburg! They are the winning community in the “Summertime and the Wesley Living is Easy” photo contest. Each community was tasked with taking a photo of their residents enjoying the summer. Pictures were carefully judged by a crack team of summer photo judges. 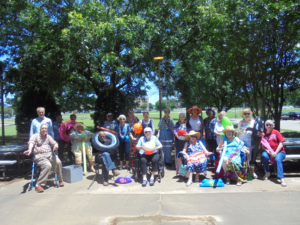 For their efforts, the residents of St. Joseph Village will receive the gallery wrapped copy of their photo above to hang in their community room and a catered celebration party.